Adidas Argentum 2018 is name of official match ball of Superliga Argentina 2018/2019. 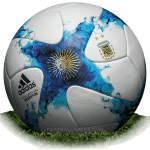 The Superliga Argentina ball 2018/19 is predominantly white with a bright graphic appearing all over the upper, based on the panel shape found on the World Cup 2018 ball. It consists of pink-black diamonds and sun-inspired yellow part. 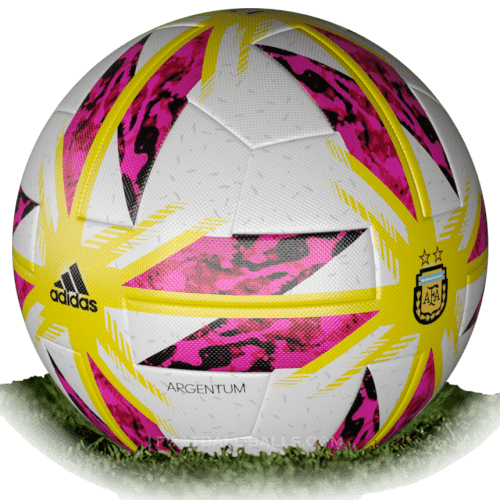 The logos of the Adidas and the Argentine Football Association are featured on the Adidas Argentum 2018 ball too. The Superliga Argentina 2018 official match ball has latex bladder and thermally bonded seamless surface for better touch, more predictable trajectory and lower water uptake. In the ball embedded chip compatible with NFC-enabled devices. Adidas Argentum 2018/2019 ball passed all FIFA tests on circumference weight, rebound and water absorption. 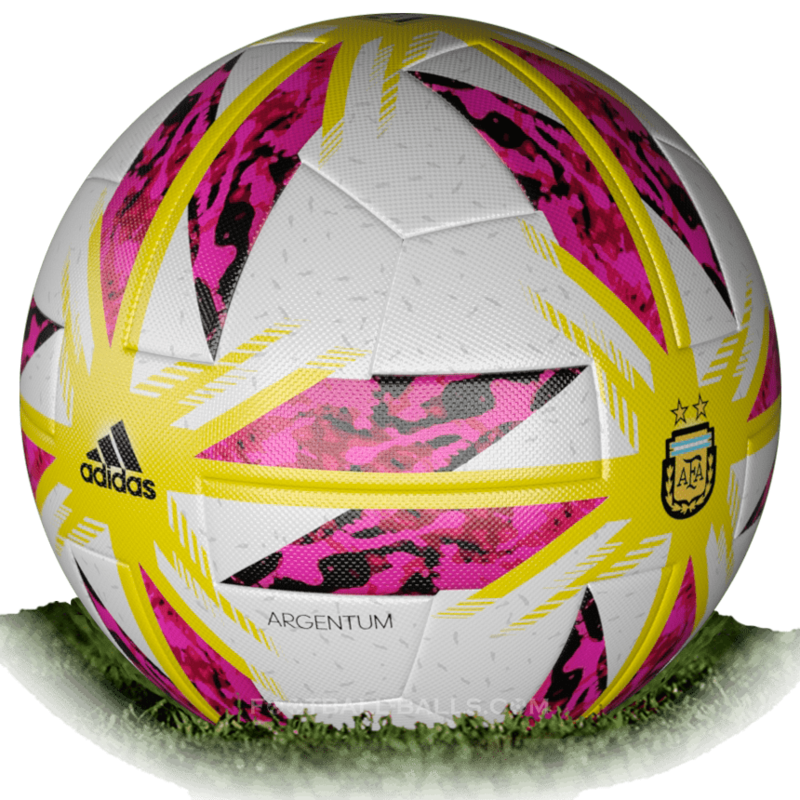 The Adidas Argentum 2018 official match ball is available for buy since August 2018, retail price 165 USD.